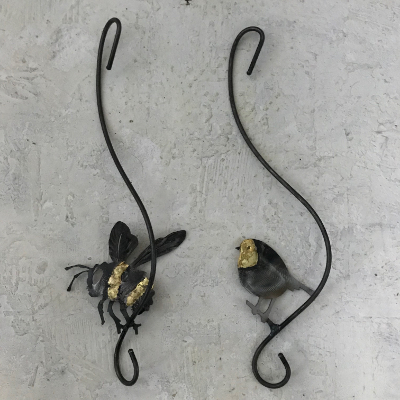 Hand forged Robin S Hook with bronze breast. All hand made locally on the forge by our "strange man with a beard". 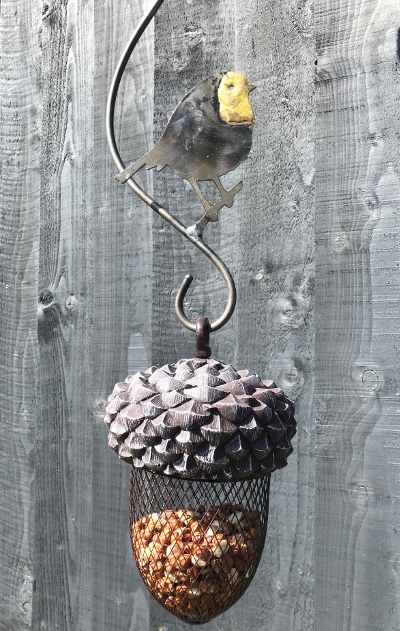 The S hook itself is a very strong construction ideal for use with our Acorn Bird Feeder but can also be used to hang standard feeders, hanging lanterns and pot holders. 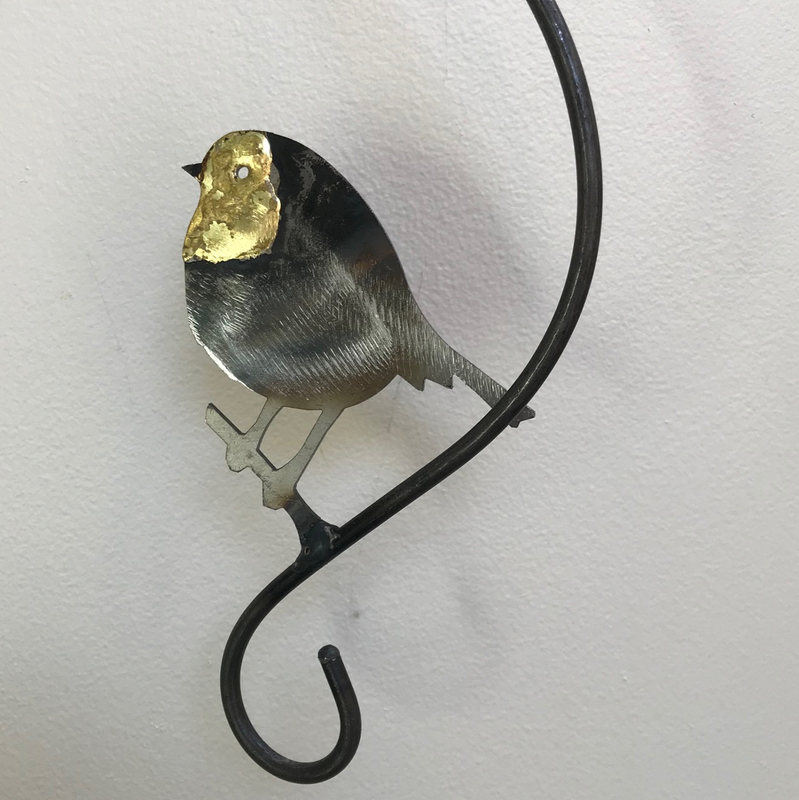 Made from steel with a bronze breast the body and hook part of this product will oxidise slowly leaving a wonderful natural finish. The bronze element will dull down over time but can easily be cleaned back to its gold finish. If you wish the whole piece to stay pristine then lightly oil or spray with a clear protective lacquer.